Every few years Congress takes up a surface transportation reauthorization bill to continue funding for road and transit projects. The most recent bill, Moving Ahead for Progress in the 21st Century (MAP-21), was signed into law by President Obama on July 6, 2012. Included in the bill are a variety of incentive grant opportunities to promote safe driving. One of the safety programs included in MAP-21 is a $13 million incentive grant program designed to encourage states to implement comprehensive graduated driver licensing systems. In order to qualify for the incentive grant, states need to enact a two stage licensing system for all drivers under the age of 18. Driving restrictions, such as limits on nighttime driving and the number of teen passengers who can be in the car with a newly licensed driver, will need to be implemented to ensure that teen drivers are introduced to driving in a less dangerous driving environment. The next step is for the U.S. Department of Transportation’s National Highway Traffic Safety Administration (NHTSA) to issue a final rule outlining in detail the specific provisions a state will need to enact to qualify for the GDL incentive grant. NHTSA issued a notice of proposed rulemaking in October. The agency is expected to promulgate a final rule in early 2013. 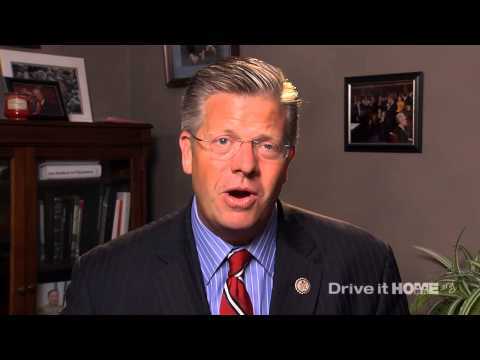 Teen driver safety is an important issue for many representatives, including Congressman Randy Hultgren (R-IL) who in the video below tells parents why they have a vital stake in the outcome of this work. And now that Congress has included federal GDL incentive grants in the surface transportation reauthorization bill, the work turns to the states to improve their GDL systems. In 2013, organizations including the National Safety Council will be actively involved in securing introduction of GDL improvement legislation in Ohio and Texas as well as other states.